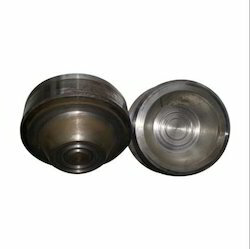 Offering you a complete choice of products which include paper plate making die, paper plate die, thali die and dona die. By keeping track with the latest technological developments, we are offering of Paper Plate Making Die which is use to give shape to the plates. Totally concern for quality, this paper plate die is checked on various quality parameters in order to deliver a flawless range & manufactured from supreme quality components. This paper plate die is offered at reasonable price to the customers. 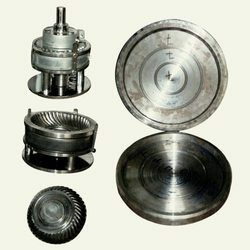 We are engaged in offering the finest quality array of Paper Plate Die. Use for giving shape to the paper plates, the offered paper plate die is manufactured by our professionals utilizing the finest quality material in compliance with the international quality norms. This paper plate die is provided in various sizes as per the needs of clients. To cater to the diverse needs and requirements of our valued clients, we are involved in manufacturing, trading, distributing, wholesaling, and supplying a broad assortment of Thali Die. 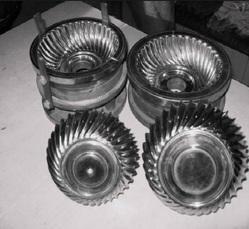 Our professionals use their knowledge in manufacturing the offered thali die so as to maintain set quality norms. This thali die is given in several specifications as per market preferences. 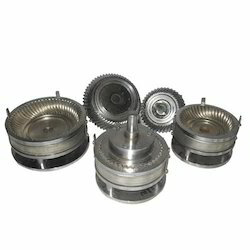 Furthermore, the offered thali die can be avail from us within a given time frame. Pattern Dimensions 4 to 6"
Keeping in mind ever-evolving requirements of our valuable clients, we are offering an exclusive range of Dona Die. This Dona die is given in numerous specifications to choose from. We check this Dona die on various quality provisions so as to deliver a flawless range. This Dona die is manufactured using prime grade basic material in order to maintain their compliances with industry set standards. Looking for Paper Plate Making Die ?